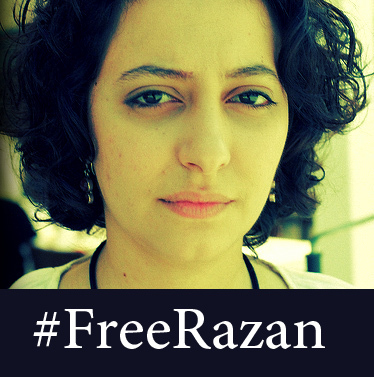 Today, Sunday, December 4th, American-born Syrian blogger and activist, Razan Ghazzawi, was arrested while on her way to a media conference in Jordan. She is one of more than 50,000 Syrians arrested since the start of the revolution for freedom in Syria, and one of very few Syrian bloggers who actually use their real name while blogging. As a constituent, I am confident that you will take the necessary steps to put pressure on the Assad regime to immediately release Razan Ghazzawi, a fellow American, and the thousands of activists in Syrian jails. Please do not ignore this brave American in her time of need. "I think the Arab Spring started in the City of Bell" ! !